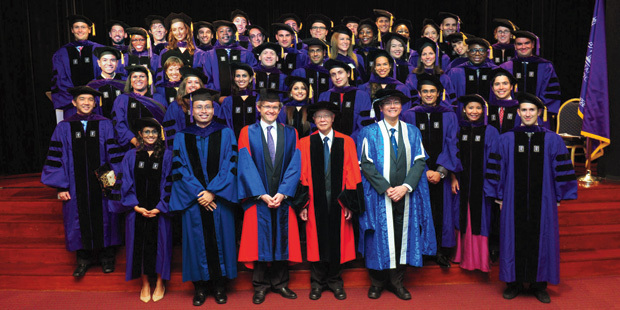 The most powerful judicial figure in the country gave the fifth class of the NYU School of Law and National University of Singapore Dual Degree Program a grand send-off during its February 27 convocation at the Asian Civilisations Museum. Chief Justice Chan Sek Keong of the Supreme Court of Singapore addressed the 44 graduands, who hail from two dozen nations, and their families. Gloria Matovu (LL.M. ’12) of Uganda and Steven Dejong (LL.M. ’12) of Australia spoke on behalf of their fellow classmates.